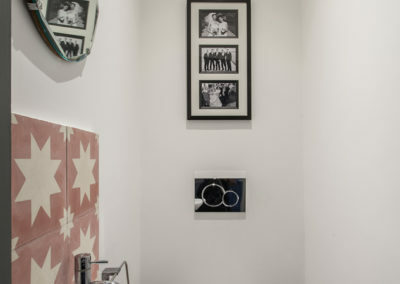 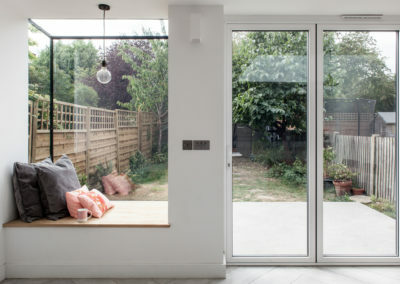 A ground floor extension at the rear of the property combined with the former rear reception room creates a generous family space addressing the garden. 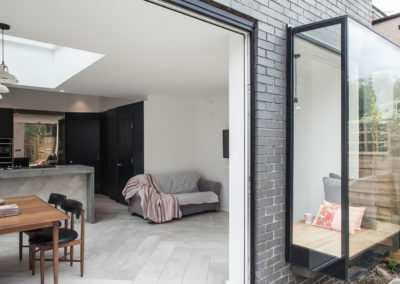 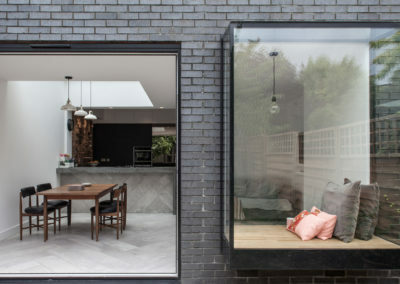 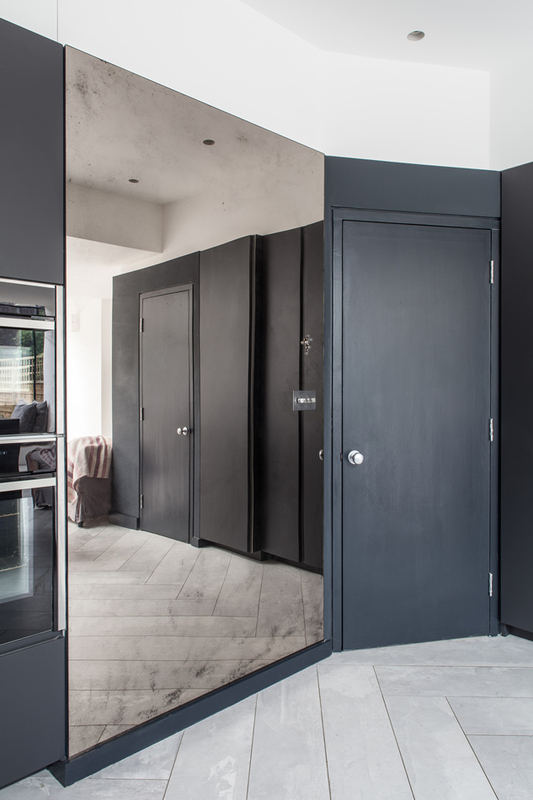 Contemporary black brickwork complements the glazing and raw internal finishes. 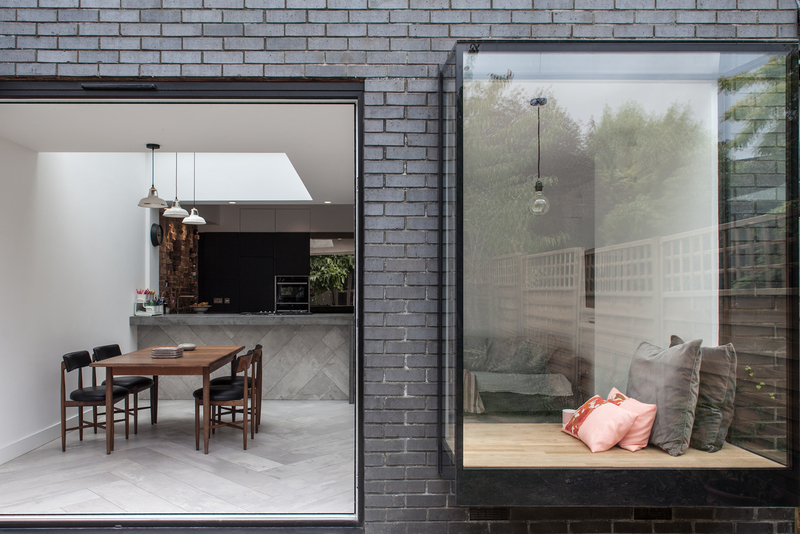 Separate large glazed elements define the space. 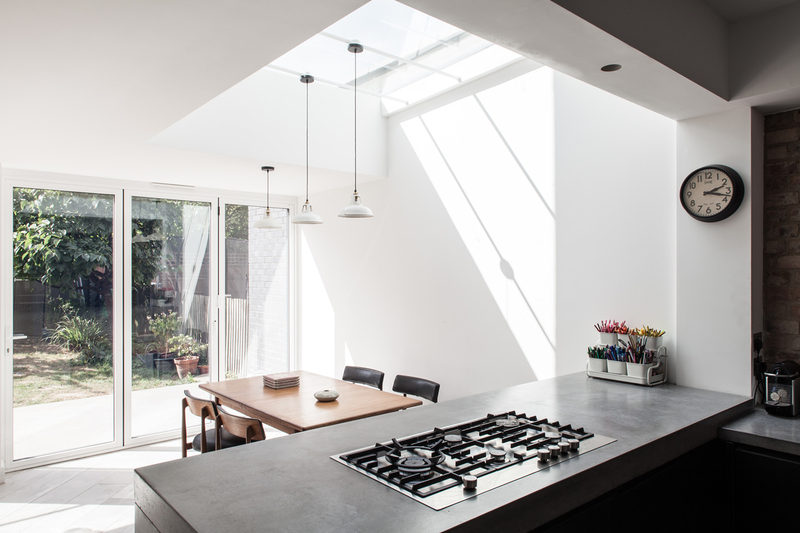 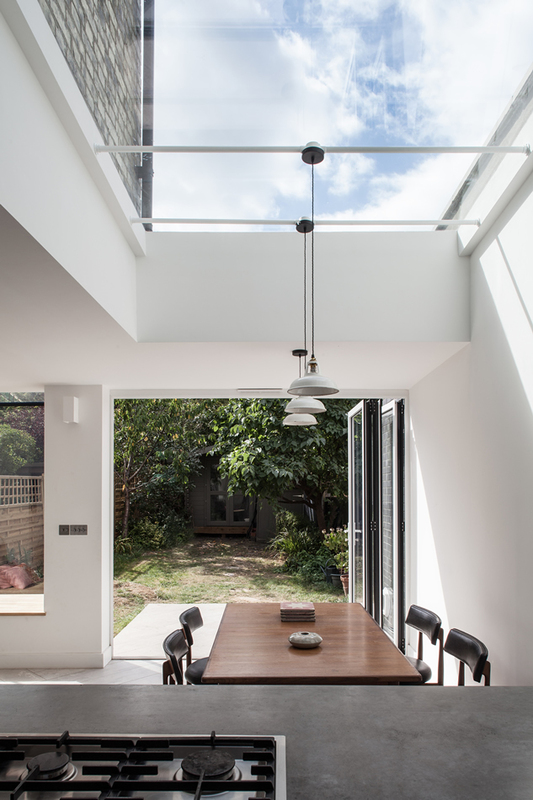 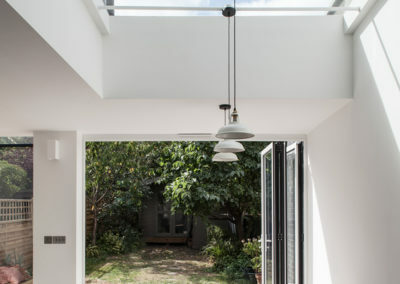 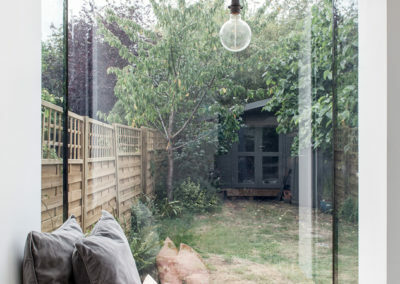 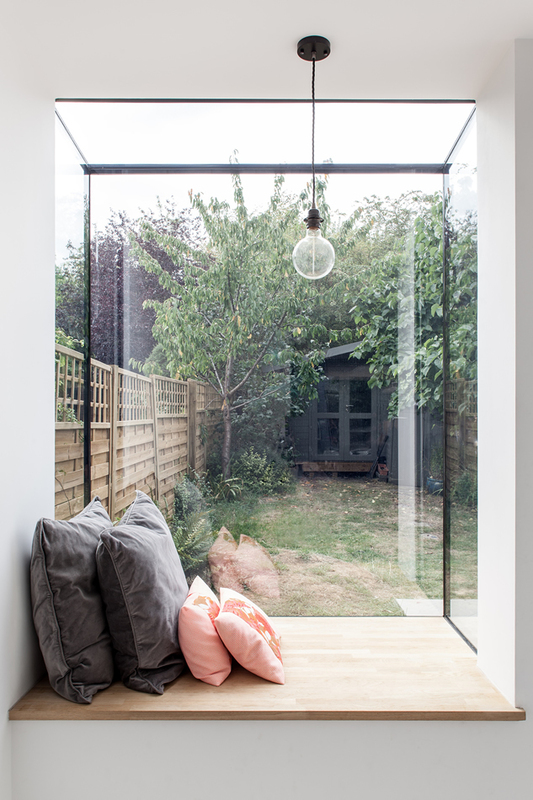 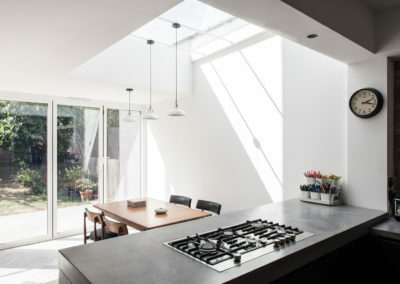 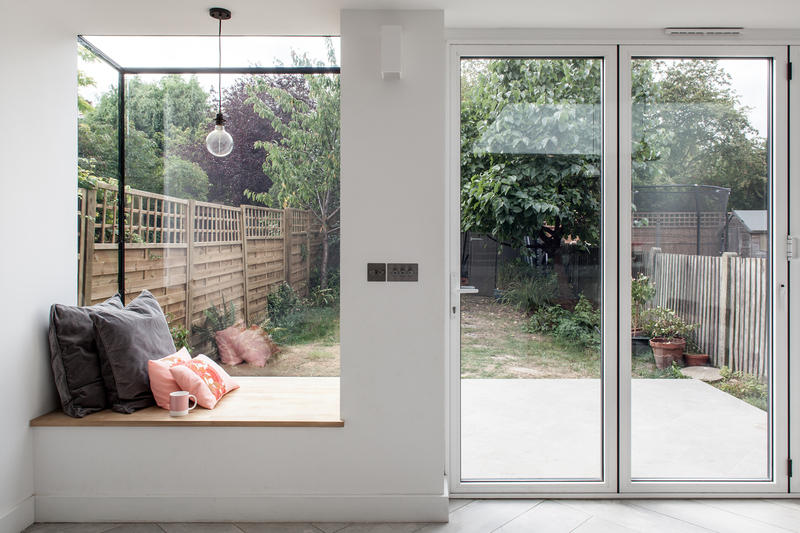 The projecting window seat is an enclosed place to look back into the room or out to the garden, the roof light creates an illuminated space to dine under and the doors connect to the outside. 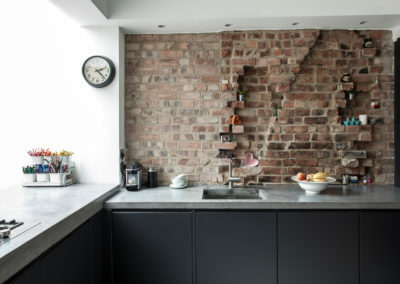 The exposed flue of a removed chimney breast and adjacent brickwork creates a texturally rich focal point in the kitchen. 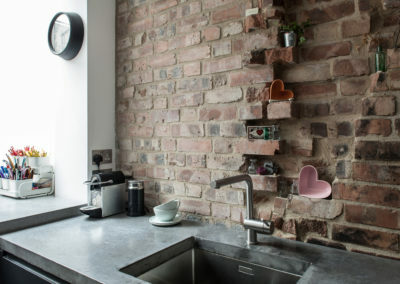 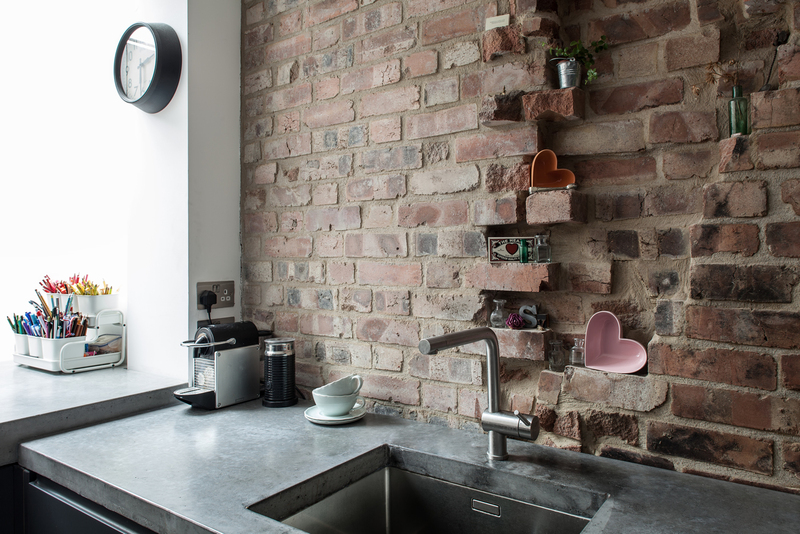 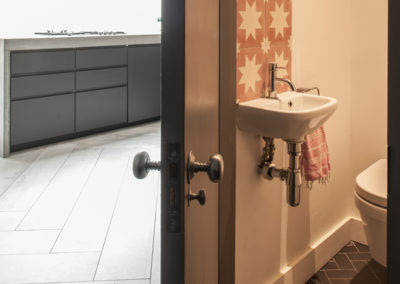 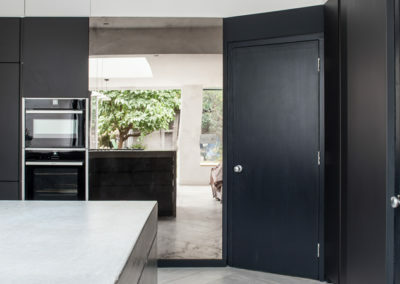 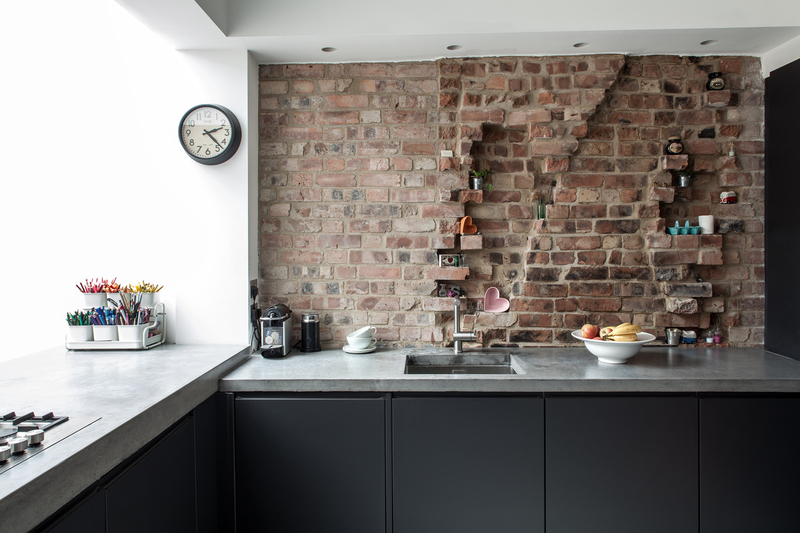 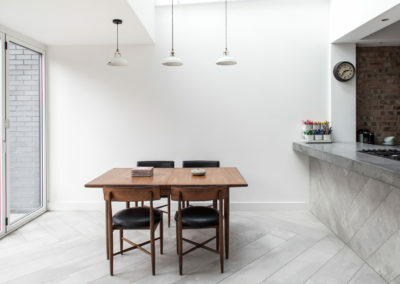 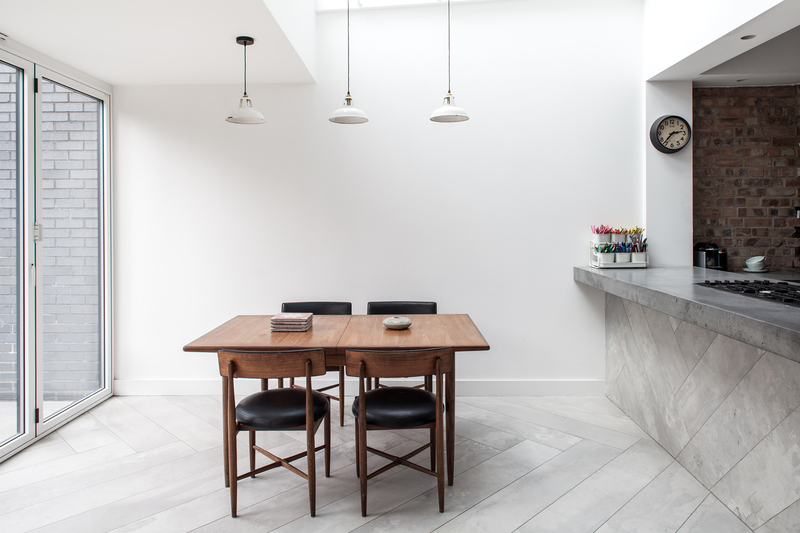 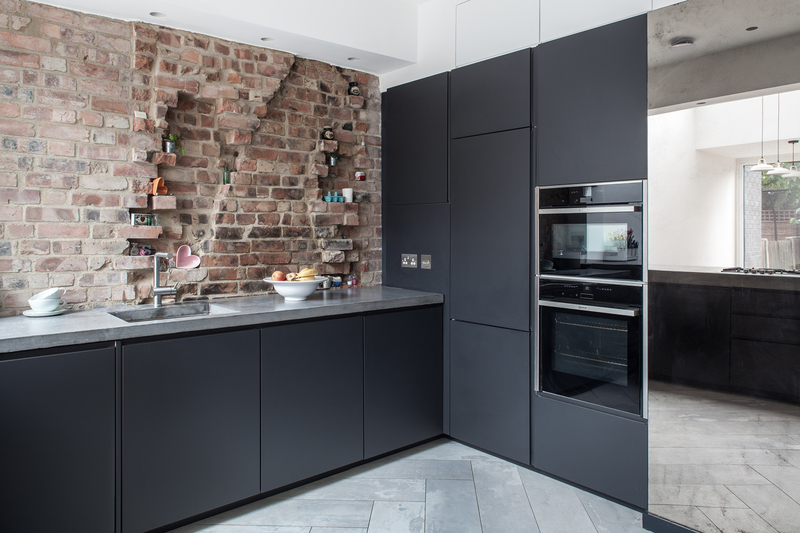 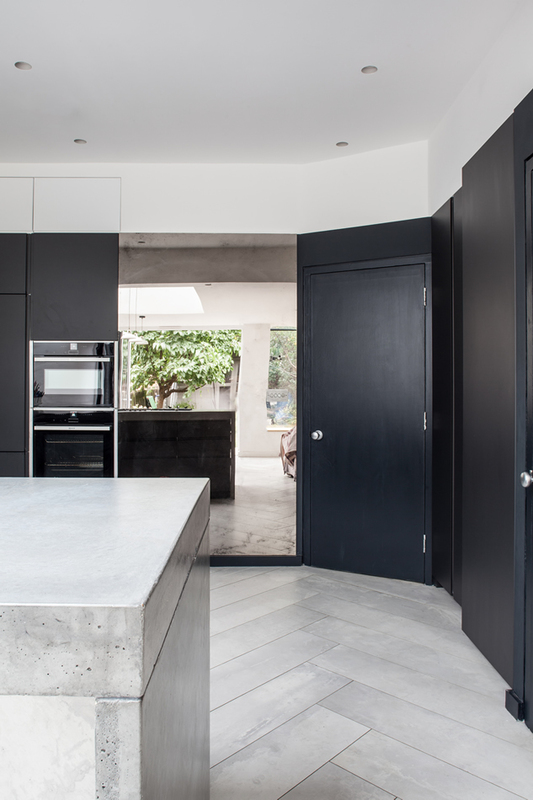 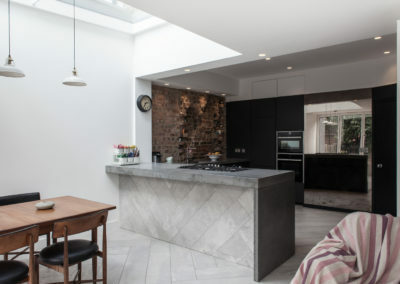 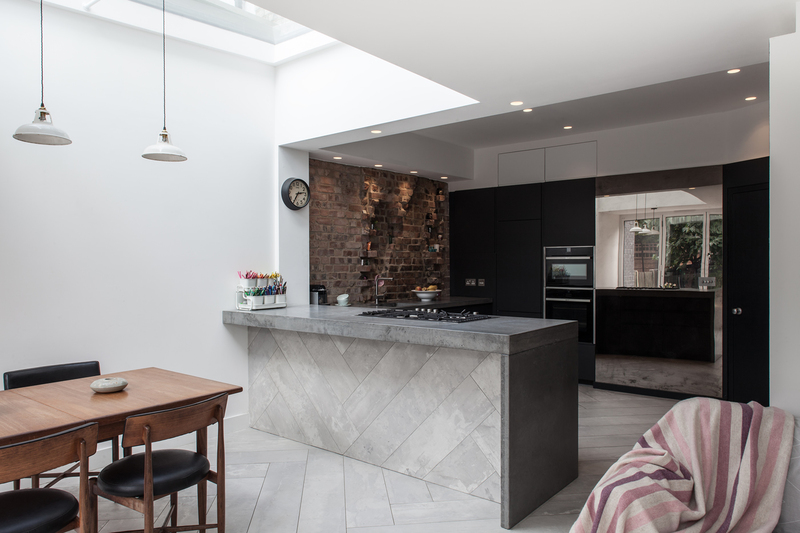 A concrete worktop and dark kitchen complement the rawness of the brickwork. 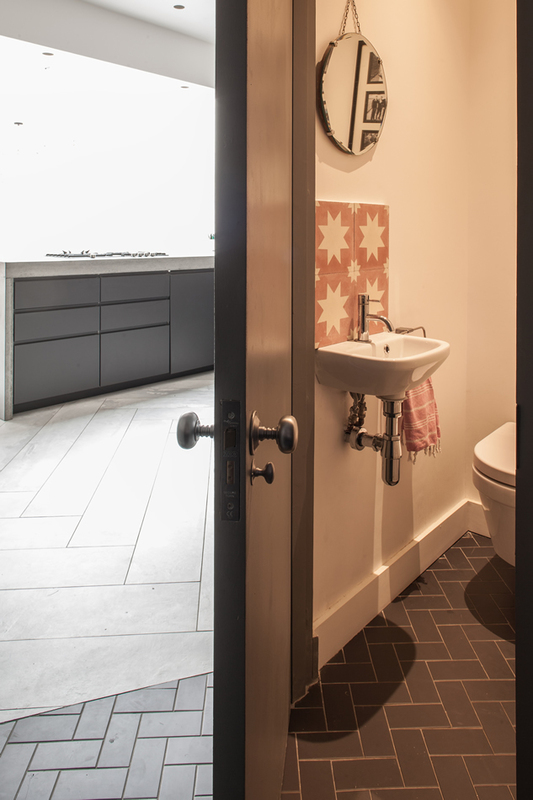 Tiles laid in Herringbone pattern contrast with the simple boldness of the kitchen cupboards. 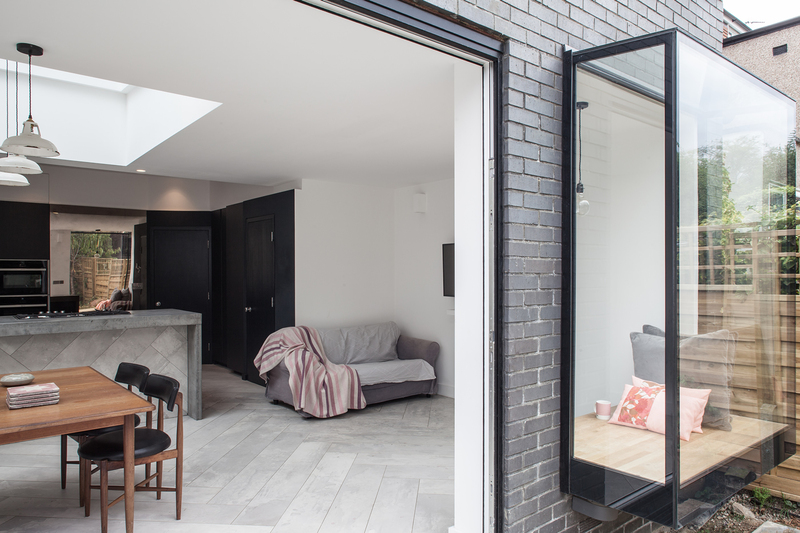 We hired Trevor to design an extension and remodel our downstairs living area. 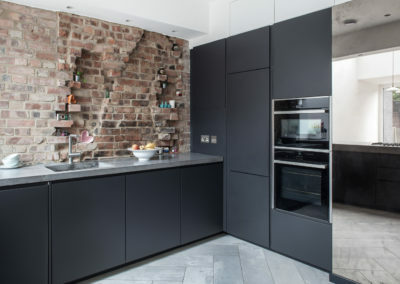 He is a pleasure to work with as he clearly loves his work and that passion showed through in his design, dedication and professionalism at every stage of the project. 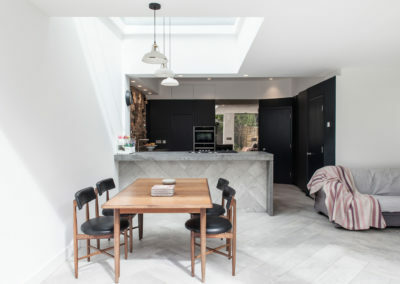 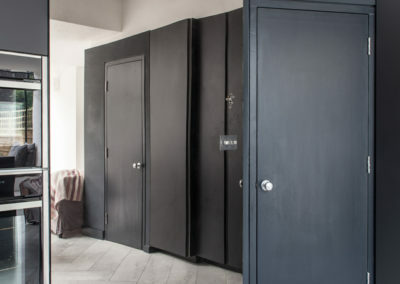 He was extremely thorough in exploring the options and flexible enough to incorporate all the elements we wanted while giving us inspiration to think beyond the standard box. 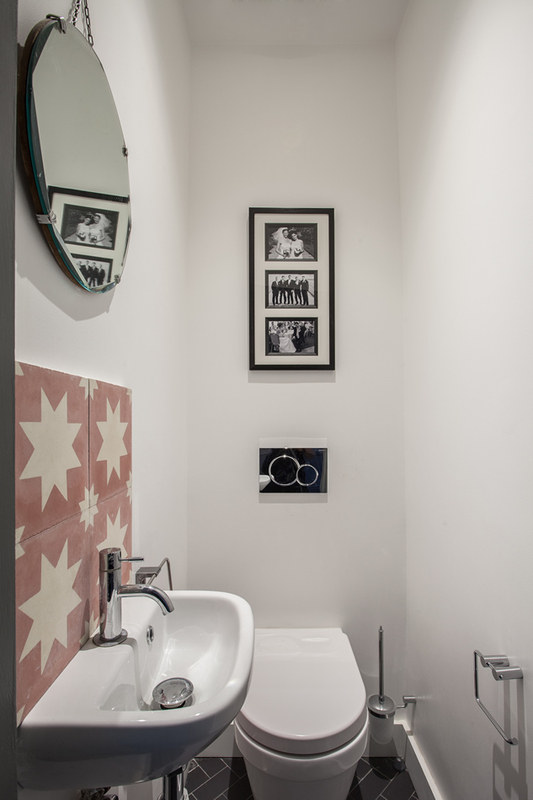 We are absolutely delighted with the result and I would thoroughly recommend Trevor.